Whether you’re a full blown environmentalist or a budding nature appreciator, join us for a fun and engaging workshop about nearby ecosystems and park safety. Learn to identify plants, birds and animals found in your backyard and in local Parks Canada sites, as well as how you can help continue to protect and monitor our wild places.Gain the basic knowledge and confidence needed to experience your own outdoor adventure! Participants will take part in a simulated visit to a National Park and will learn crucial safety and preparation skills as well as discover the wonders of National Parks, all the while participating in engaging games and hands on activities. 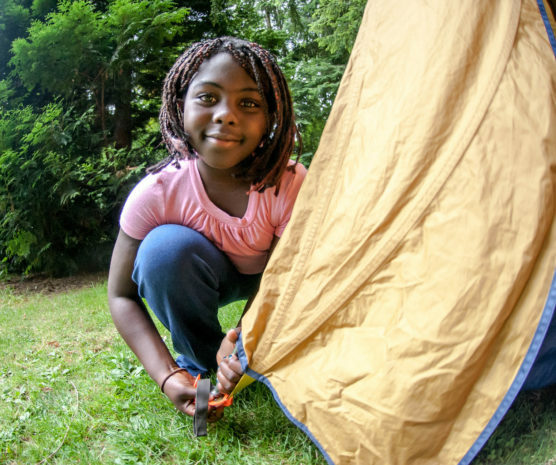 Learn-to Camp is a program delivered in partnership with Parks Canada.